Uber Creamy Spaghetti! And the fantastic wine opener trick! Replace the lid on the cheese and bake in the oven for 20 minutes at 180°C. Cook the spaghetti in salted boiling water until al dente, and drain. 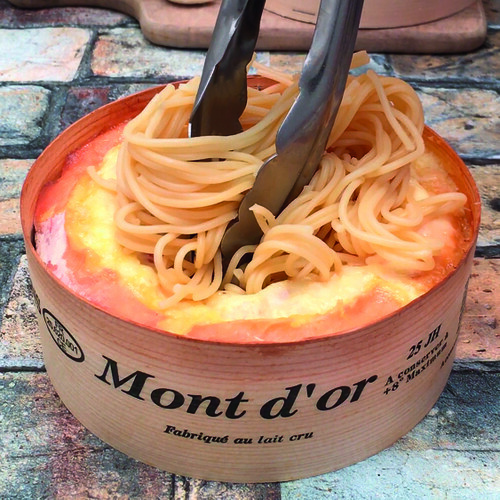 Lift the lid of the cheese and dip the pasta into it using a pair of tongs to swirl the pasta round and completely coat it with the cheese. Serve the pasta garnished with chopped parsley.